Madrid Coach-Zidane's Trousers gets torn for the second time, Lol! Madrid Coach-Zidane’s Trousers gets torn for the second time, Lol! 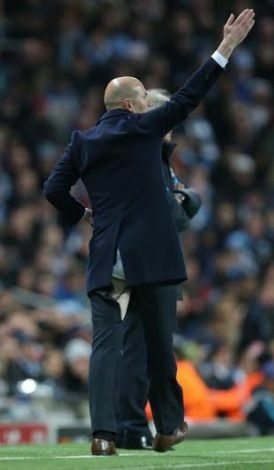 Real Madrid coach Zinedine Zidane suffered a wardrobe malfunction last night during the champions league semi final match against Man City, This is similar to the same incident that happened at the last champions league match against Wolfsburg. His trousers tore at the back while he was ranting and raving on the touchline for Real Madrid last night. Does he need another designer? does he go for ‘aba-made’ clothes?